WHAT: The University of Illinois Springfield will host two screenings of the “Hidden Histories” film series. One of the three short films that will be shown is “A Song for Manzanar”, which is based on a story of the family of Springfield resident Yosh Golden, who was born in the Manzanar concentration camp in California during WWII. Both screenings are free and open to the public. WHEN: Friday, October 6, 2017, at 4 p.m. and 7 p.m. DETAILS: Springfield native Kazuko Golden produced and directed the film “A Song for Manzanar.” The film is part of a touring program featuring short narrative films about Japanese American incarceration during WWII called “Hidden Histories.” Other films that will be shown include “The Orange Story” and “Tadaima.” The films provide a reminder of the profound cost of abandoning American ideals and equal protection under the law, and the continuing threat of punitive government policies in a climate of fear. Richard Gilman-Opalsky, UIS associate professor of political science will moderate a panel discussion following the 4 p.m. showing. 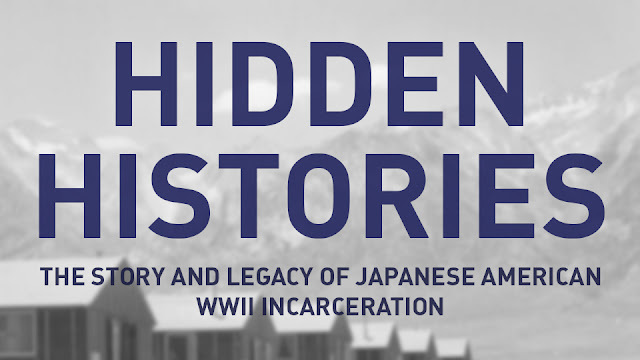 Panelists will include Kazuko Golden, Yosh Golden, Erika Street Hopman from the “Hidden Histories” project who produced “The Orange Story” and Ali Nizamuddin, UIS associate professor of political science, representing the Islamic community. The 7 p.m. screening will also be followed by a panel discussion about the films. The audience is then invited to a reception outside Brookens Auditorium to meet and greet Erika Street Hopman and Kazuko Golden, whose film has been screened at film festivals and venues across the U.S. and in France at the Cannes Film Festival where it was shown in the short films section. The screening is sponsored by the UIS Diversity Center and the History, Political Science, Sociology/Anthropology & Women & Gender Studies Departments. The first screening, at 4 p.m., is part of the Engaged Citizenship Common Experience (ECCE) Speaker Series and Political Art and the Public Sphere (PAPS). Students will only receive ECCE credit for the 4 p.m. event. Individuals with disabilities who plan to attend the 4 p.m. event and anticipate the need for accommodations should contact the UIS Speaker Series Office at 217/206-8507 or speakerseries@uis.edu in advance. For more information about the screenings, contact Richard Gilman-Opalsky at 217/206-8328 or rgilm3@uis.edu.